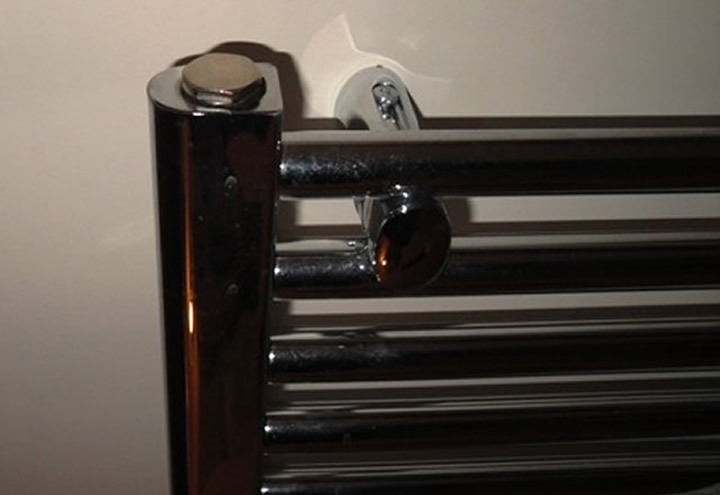 There are a few ways you can add an inhibitor to a Pressurised System (Combi boiler) one is to drain the system and use a normal inhibitor, this can sometimes be poured in by removing a plug on the top of a towel radiator (see picture above) or by injecting it into the radiator with a washing up liquid bottle after removing an air vent plug (see picture below). 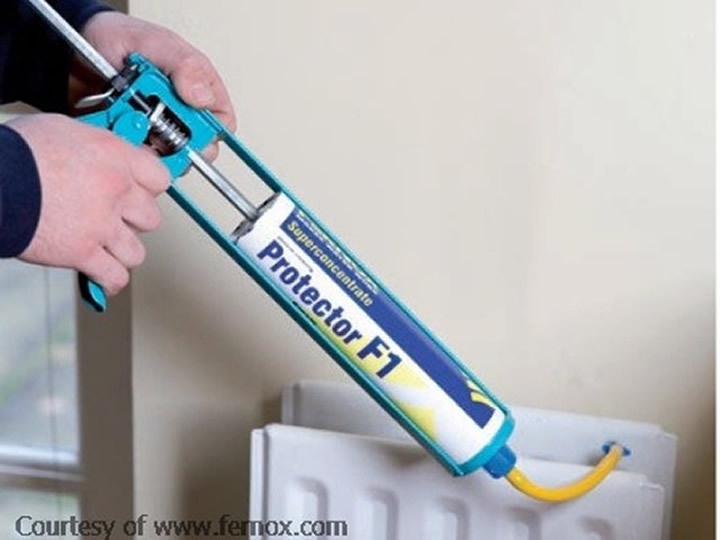 There are products that allow you to inject a concentrate or gel into the heating system via a bleed valve without the need to drain the system. 1. First make sure the system is turned off and allow radiators to cool down. 2. 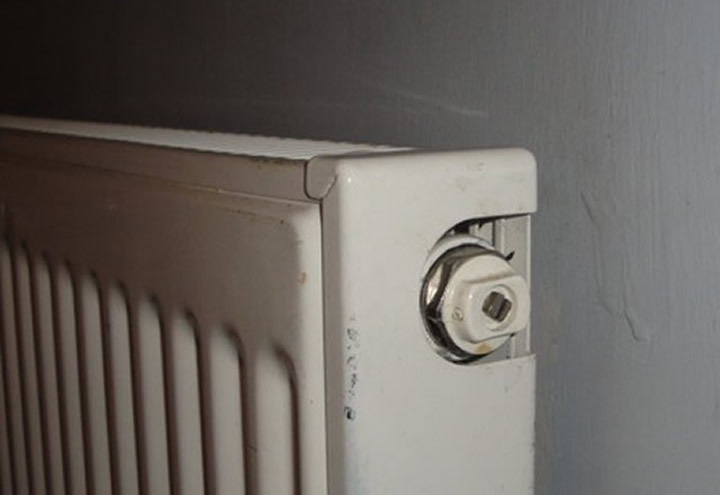 Select a radiator if possible one without a thermostatic radiator valve (as you may need shut-off caps to turn off TRVs completely). 3. Shut both of the radiator valves, remove the bleed screw and attach the inhibitor cartridge to the radiator. 4. Open radiator valves, inject concentrate into radiator. 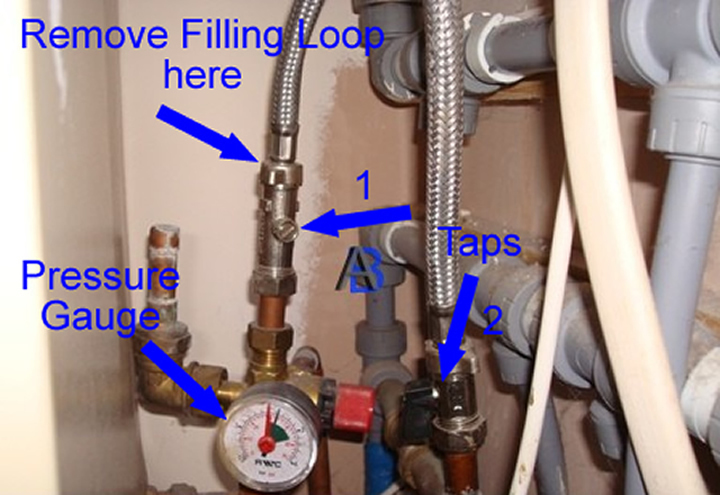 Some also come with an adapter that allows you to inject it through the connector where the filling loop (see pressuring a combi boiler) screws on, this is the easiest way to treat a combi boiler.